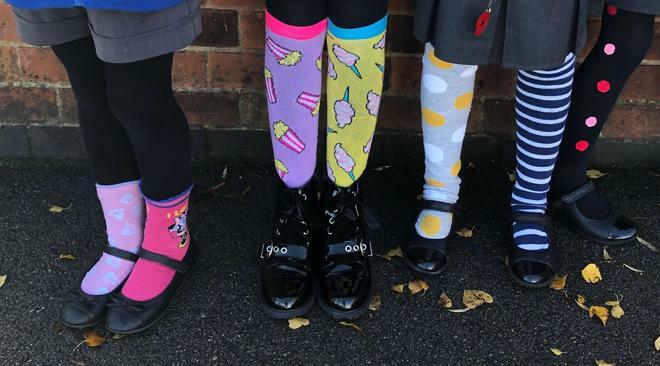 To recognise ‘Anti Bullying Week’ at Mapplewells we participated in ‘Odd Socks Day’ on Monday 12th November 2018. Odd Sock Day is designed to be fun and the children came to school wearing the wackiest and brightest socks they have! The day was an opportunity for the children to express themselves and celebrate their individuality and what makes us all unique! 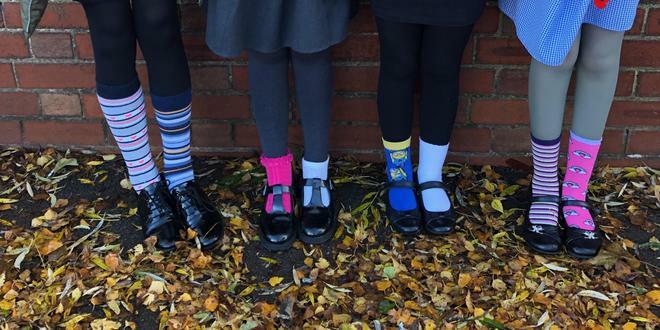 The children attended an assembly to talk about the theme ‘choose respect’, as well as celebrating their odd socks.